Why List with Lesa Clark? Sellers, it is extremely important to have a Realtor® that is skilled and experienced - Licensed and successful since 2002. A Realtor® that will look out for your best interest, and fight for every dollar that you deserve. A Realtor® that takes pride in their work, and is up to date with the current market. 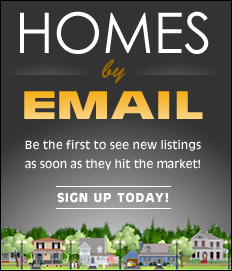 A Realtor® that advertises properly and has a network of buyers, realtors, and contractors. I am that Realtor®. I am a motivated Realtor® that always goes the extra mile to get my sellers the best result possible. My advertising is superb and has built me a pipeline of buyers waiting to buy your home. My networking has a far reach, and I work tirelessly on your behalf to make sure of a quick sale. My reputation as a Realtor® is of the up-most importance to me. I am known as an outgoing, fun, honest, fair, and hardworking Realtor® that is there for my clients every step of the way. This assures a smooth, easy, and pleasant transaction from the beginning to end of the home selling process. Some of my marketing includes: Landmark Realty of Georgia.com, Zillow, Trulia,, Realtor.com, Facebook, LinkedIn, Google+, Instagram, Twitter, Homes.com, Dalton MLS/IDX, mailers, local ads, organic searches, newspapers, magazines, and many more.